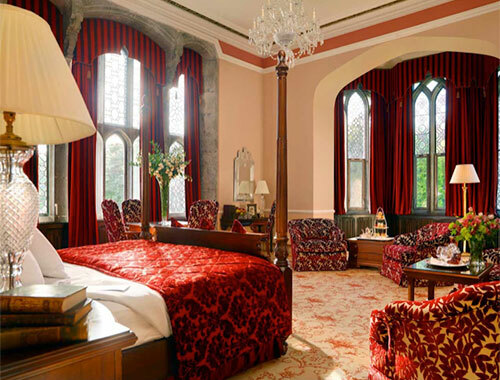 Experience the luxury and rich heritage of Ireland’s castles and manors. 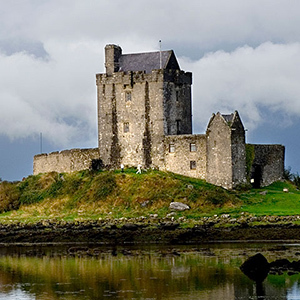 Immerse yourself in the splendour of Ireland’s castles, and ‘big’ houses, and travel back in time to uncover Ireland’s eternal beauty. 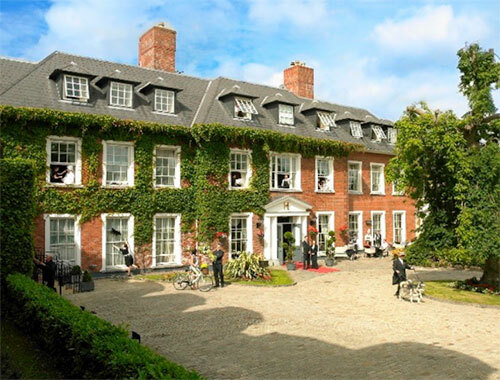 Stay at the finest manor houses and the most luxurious castles on our self-drive or chauffeur-driven tour of the Emerald Isle. 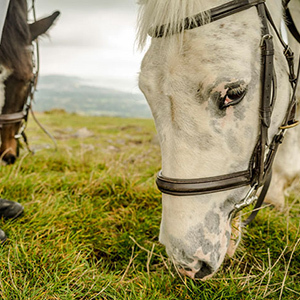 Whether you choose the independence of self-drive touring or the relaxed stress-free experience of a private driver guide, you will discover the rich heritage, stunning scenery and the warm welcome of the Irish. 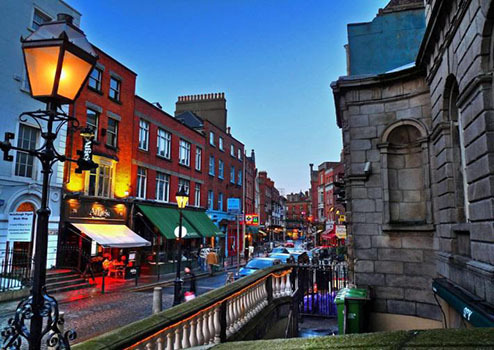 Explore Dublin City, visiting St.Stephen’s Green & Temple Bar. 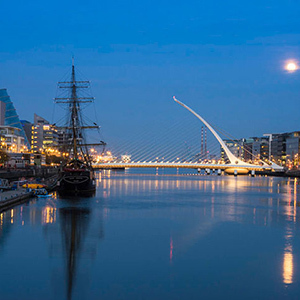 An exclusive & extensive list of all the best craft trails and activities in Ireland. We recommend getting a pass for the ‘Hop on, Hop off’ double decker bus tour of the city! It’s a fantastic way to get around at your own pace and see all the best sights. Highlights include Trinity College, Dublin Castle, and St. Patrick’s Cathedral. Stroll down Grafton Street, Dublin’s premier shopping area. 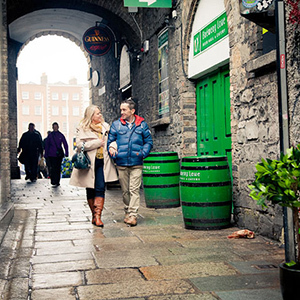 Visit the Guinness Brewery at St. James’ Gate and enjoy a taste of the real thing right from the source. This evening perhaps you would like to attend the theater, or visit the Brazen Head Pub for their evening of traditional Irish folklore and storytelling. Meet your driver guide or pick up your rental car. Depart Dublin and drive towards Cork. 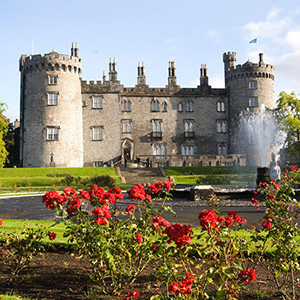 En route visit the medieval city of Kilkenny, once the capital of Ireland in the Middle Ages. 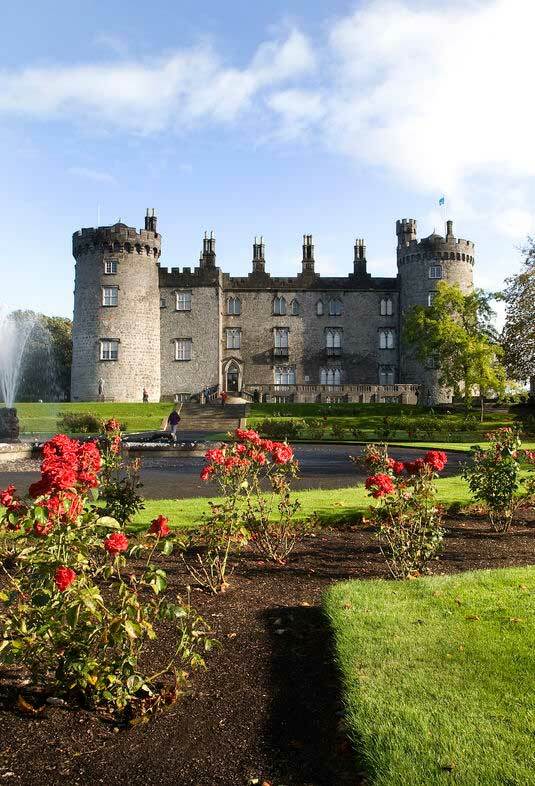 Tour Kilkenny Castle and shop at the Kilkenny Design Centre for fine Irish goods. 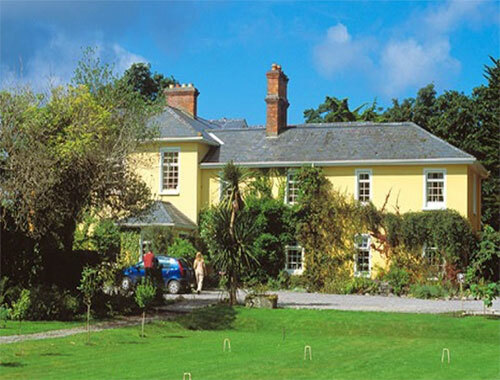 Continue on to Cork where you’ll stay 2-nights at Hayfield Manor. 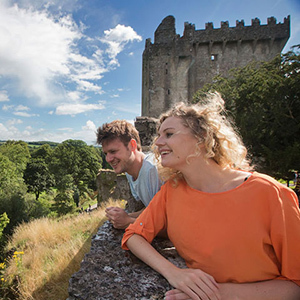 Visit Blarney Castle to kiss the famous Stone of Eloquence. 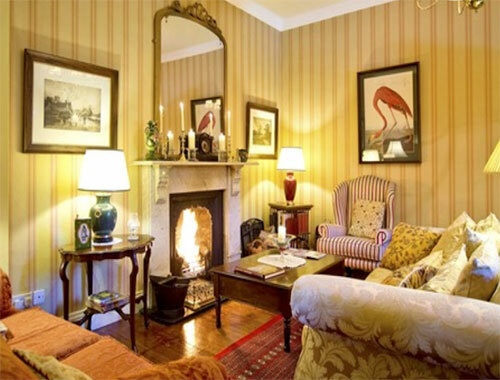 Explore the village of Blarney and shop in Blarney Woollen Mills. 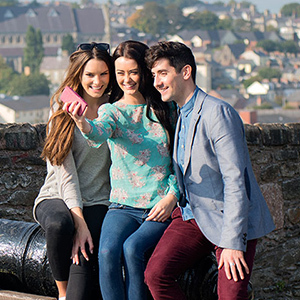 Tour Cork City and include a visit to the Shandon Bells, the Gothic style University College, St. Finbarr’s Cathedral, the English Market and the Crawford Art Gallery. Visit Cobh harbor, last port of call for the Titanic. Afterwards sample some Irish whiskey at Midleton Distillery. 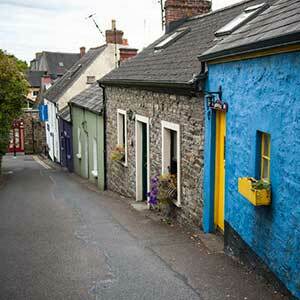 Continue to the picturesque fishing town of Kinsale. 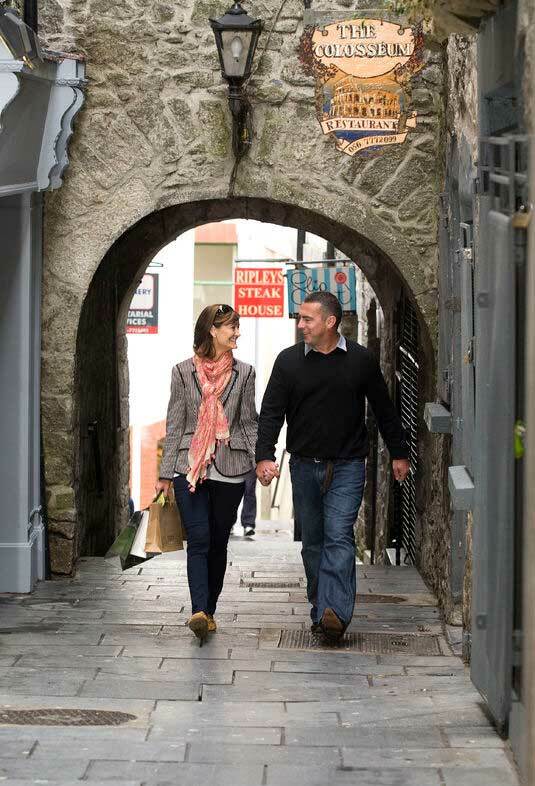 Enjoy a stroll through the narrow cobble stoned streets, and feast on fresh oysters for dinner. Depart Cork and travel to West Cork through the many quaint villages to Bantry. 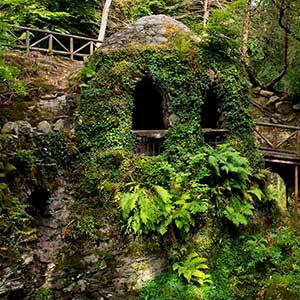 See the island garden of Garnish Island and stop off in the friendly market town of Kenmare. 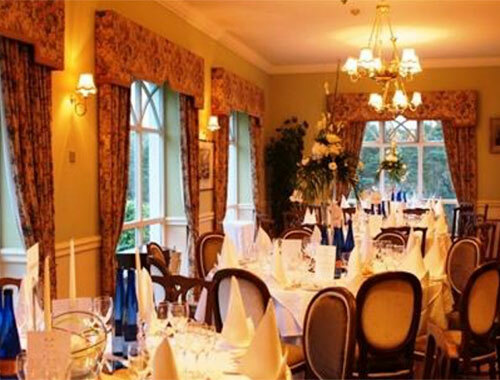 Afterwards continue to Killarney for a 2-night stay at the Carrig House, a luxury lakeside manor house with lush lakeside gardens, elegant antique-filled rooms and acclaimed dining. 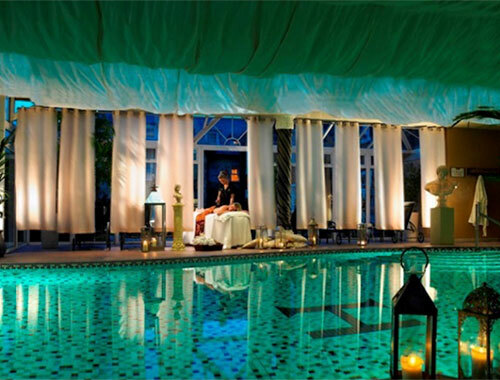 Relax after your journey. 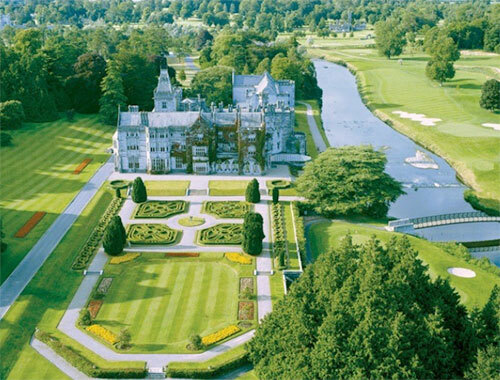 This evening you may wish to take a horse and carriage ride to Muckross House on the Killarney Lakes. 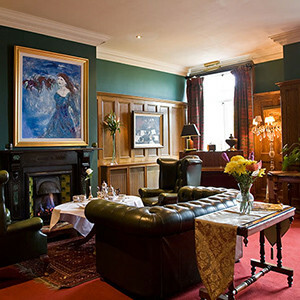 Today visit the Gap of Dunloe and Kate Kearney’s Cottage, a cosy family-run bar and restaurant. 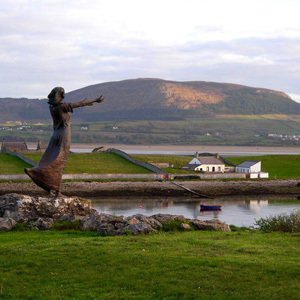 Take a tour of the stunning Dingle Peninsula, the setting for the film ‘Ryan’s Daughter’. Experience some of the most breath-taking views in Ireland at Slea Head and Connor Pass. A number of charming fishing villages dot the coast where you may wish to stop for lunch. The town of Dingle is famous for its hiking, fishing and sailing by day, and by night for lively restaurants, pubs and a fantastic traditional music scene. Or you may prefer to tour the famous Ring of Kerry. 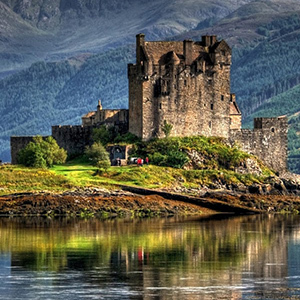 For centuries, artists and writers have been inspired by this evocative landscape. 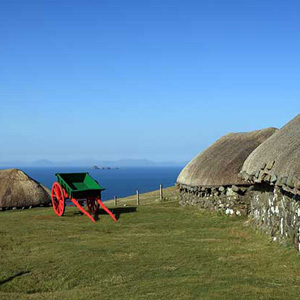 Options include a boat trip to the Skellig Islands, a remote monastic settlement in early Christian times, raided by the Vikings in 810 AD. Drive north to Limerick, City of Culture 2014. 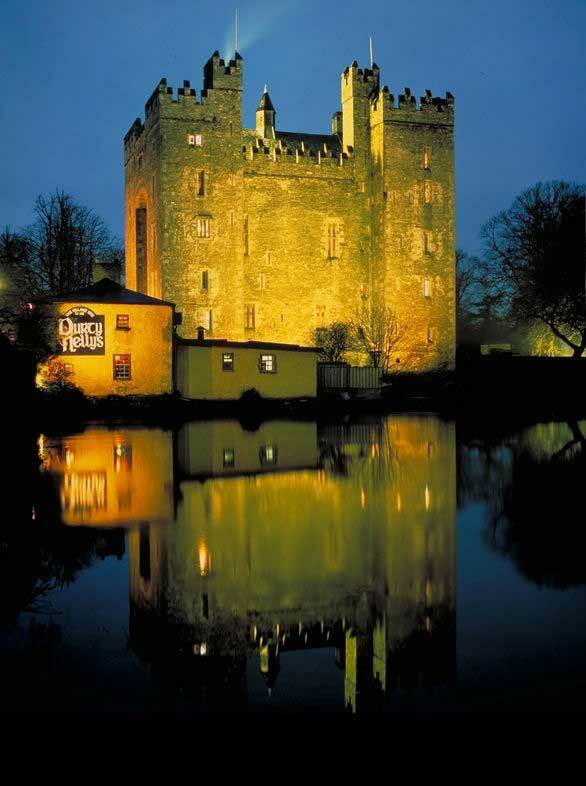 See King John’s Castle before stopping in Bunratty where you will find the best-preserved example of a medieval keep in Ireland. 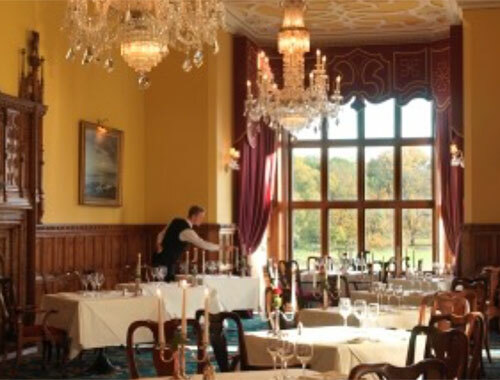 You might like to have lunch in Durty Nelly’s beside the castle. In the afternoon continue on to Galway City, home to many artists and craftsmen, where you will find a number of excellent art and craft galleries. 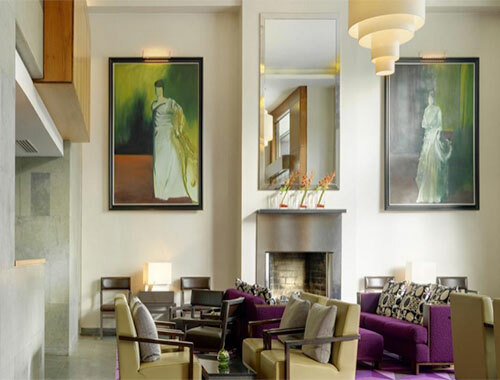 Galway is a vibrant city, rich with street theater, music, restaurants, great shops and pubs. 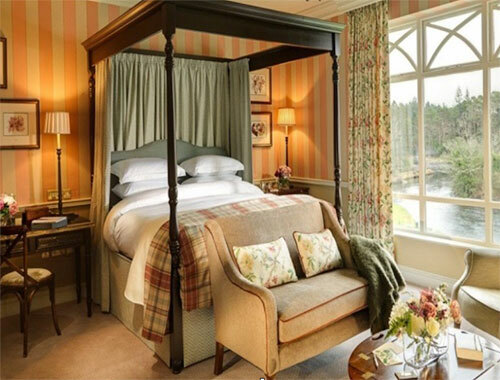 Continue to the hauntingly beautiful Connemara, to luxurious Ballynahinch Castle, where you will stay for 2-nights. 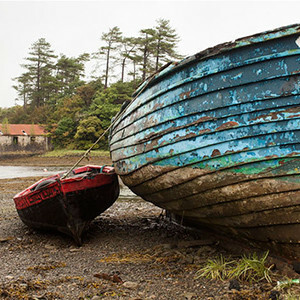 Enjoy a day exploring the ethereal landscape of Connemara, a Gaeltacht (Irish speaking) region. Here the moorland landscape is dominated by the Twelve Bens Mountains and fringed by a deeply indented coastline. Around Leenane and Cong, John Huston’s ‘The Quiet Man’ movie was shot, starring John Wayne and Maureen O’Hara. 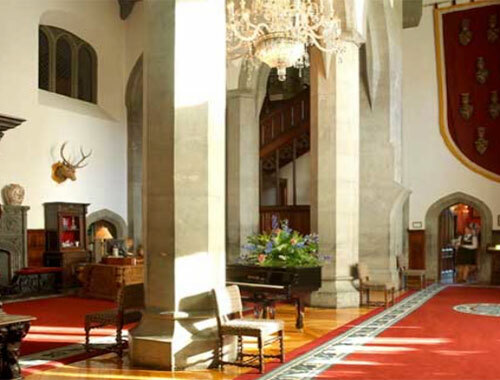 Visit Kylemore Abbey; explore their beautiful gardens and pottery shop, then stop in the cafe for delicious tea and scones. 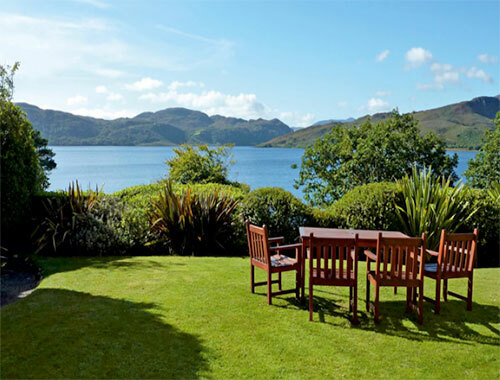 You may wish to take a cruise on Killary Harbor, Ireland’s only fjord. Time permitting take a drive through the Delphi Valley. Immersing yourself in the magnificent scenery, while remembering the tragic famine history of this region, is an unforgettable experience. 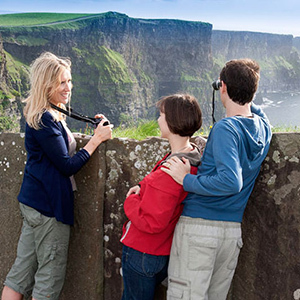 Drive south to County Clare to visit the Cliffs of Moher, which soar 700 feet above the pounding Atlantic. Enjoy a stop at Ailwee Cave to see the underground river and waterfall. Explore the lunar- like landscape of the Burren region, famous for its unique flora and fauna, and views of the Aran Islands. 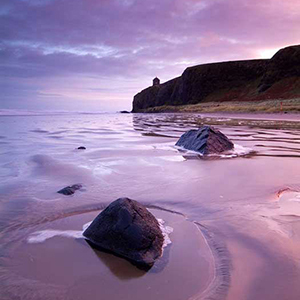 This limestone landscape is dotted with druidic altars, stone-age fireplaces and 22 species of wild orchid. 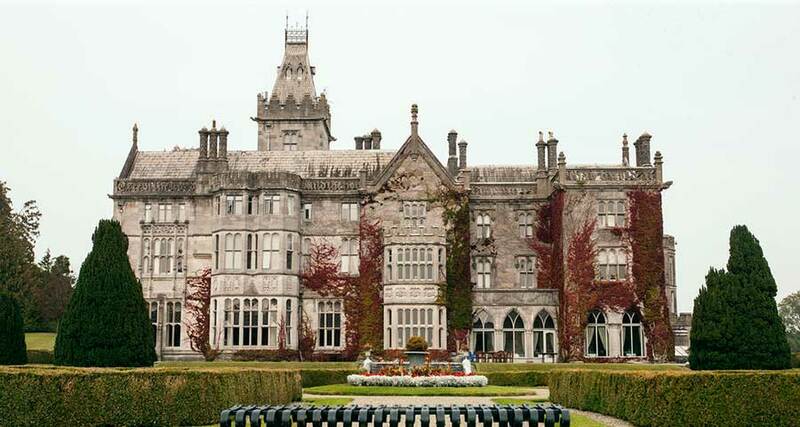 Enjoy your last night’s stay at the opulent Neo-Gothic Adare Manor House. 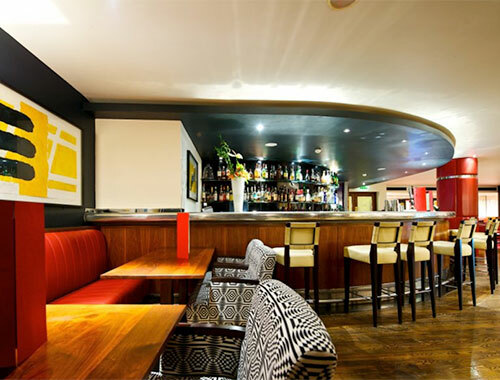 After a hearty Irish breakfast, head to Shannon Airport for your return flight home. Drop off your rental vehicle or say goodbye to your driver guide. 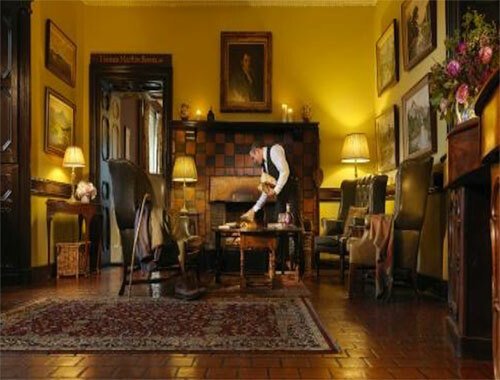 Ballynahinch Castle Hotel is one of the finest 4 star luxury castle hotels in Ireland. 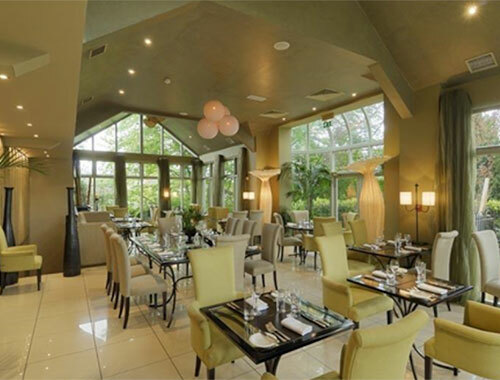 Ballynahinch is theperfect blend of authenticity & comfort, set in a private 450 acre estate of woodland, rivers and walks in the heart of Connemara Co. Galway. 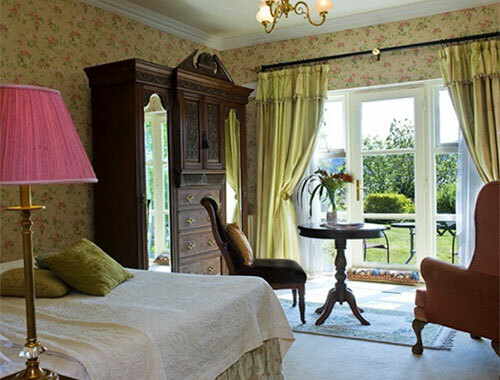 This luxury, yet unpretentious Castle Hotel stands proudly overlooking its famous salmon fishery, with a backdrop of the beautiful 12 Bens Mountain range. 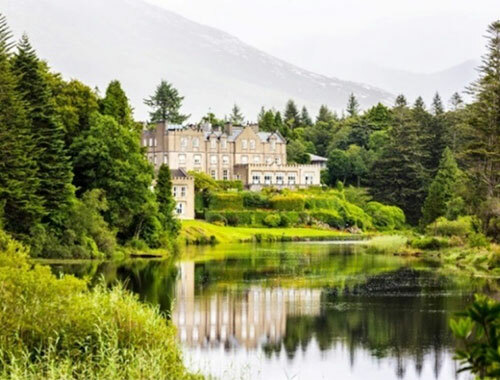 Ballynahinch Castle Hotel is the perfect base for exploring Connemara. 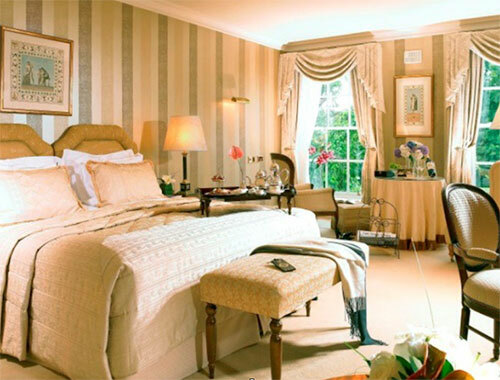 Recently, Ballynahinch was voted #1 hotel in Ireland by the readers of Condé Nast Traveler magazine.